Vinification & Aging: Made with the organically grown Sangiovese of the Nobile Riserva, after 2 days on the skins of the grapes some juice is taken from the tank. The color at that time is only pink. Fermentation continues in the tank and in February/March the wine is ready for bottling. 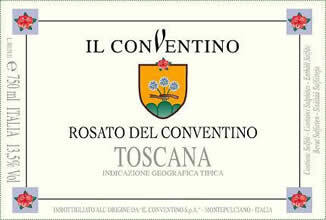 Description: Typical aromas of red fruits from Sangiovese.